I recently spent a week in Spain visiting my sister who has been living there for the past year. We spent three nights in Madrid, one night in Cordoba, two nights in Seville and two nights in Granada. It was a whirlwind trip, but it was a ton of fun! 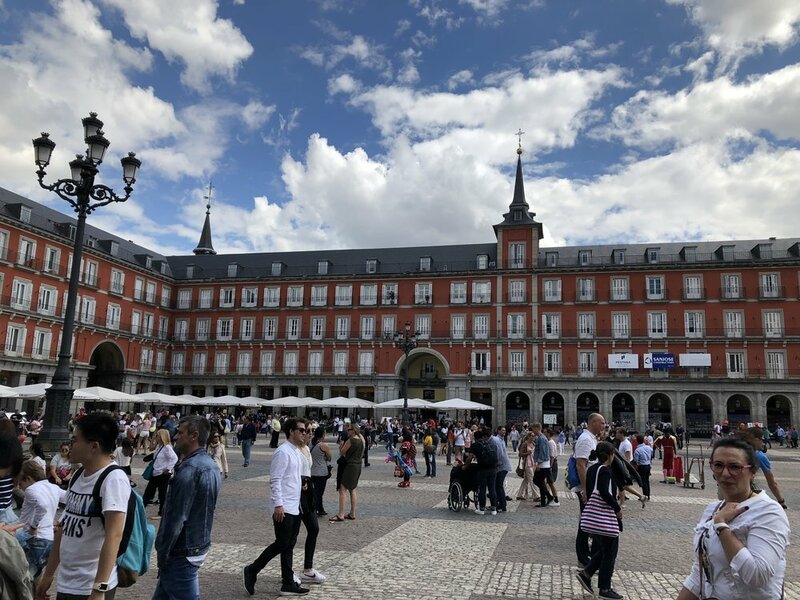 Madrid is a great Metropolitan city. It’s a fun city to walk around in and doesn’t feel as overwhelmed with tourists as other parts of Spain. Retiro park is lovely and the Prado is fantastic. I highly recommend a guided tour of the museum. It’s huge and the tour guide was able to provide so much context and history. We ate at Bibo which is was really fun and the food was great! We stayed the gorgeous Principal which I highly recommend. They had the best roof top bar. Cordoba is beautiful, but not huge. We spent one night there, and I think that was sufficient. I HIGHLY recommend the evening tour of the Mezquita, called the Soul of Cordoba. The Mezquita is lit up section by section. The limited number of people and the beautiful lighting make it totally worthwhile. You aren’t allowed to take photos during the tour, so I went back the next morning which made me really grateful for the night tour. It was packed! Otherwise, Cordoba is a little quiet. There isn’t much going on after 10pm. We had lunch at Noor which is a pet project of chef Paco Morales. The food is a little out there, but it’s a truly memorable experience. I loved our hotel the Balcon de Cordoba. It was a peaceful retreat right near the Mezquita. 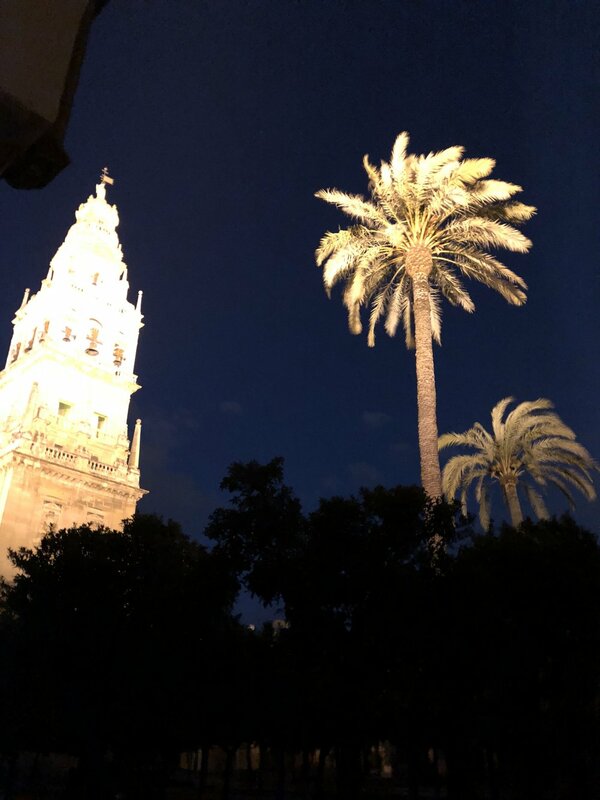 Seville is a beautiful city and a wonderful place to eat and drink outside. We were there during a festival which made navigating the older parts of the city a little challenging. We visited the Cathedral and the Real Alzacar (Palace). Unless you’re really into history, you can cover both in a day. 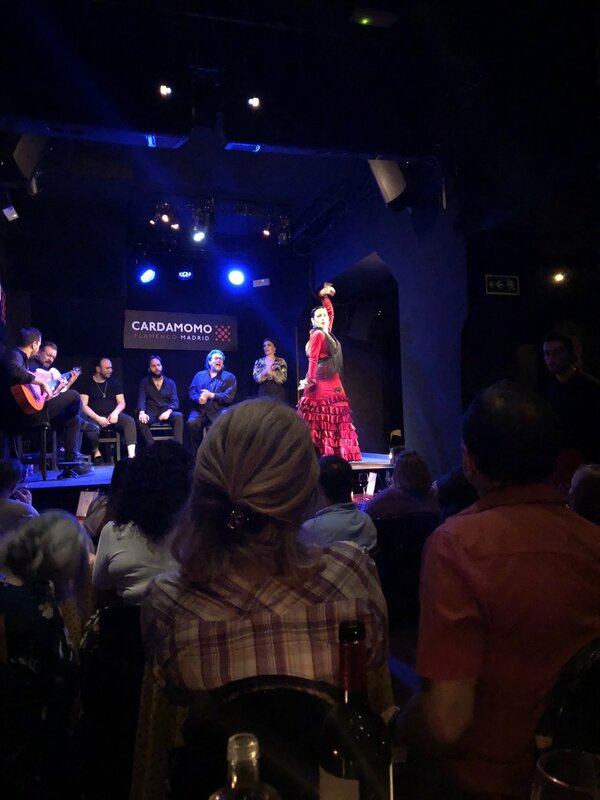 Seville is also a great place to see Flamenco is you love dance. Granada was my favorite! The city is gorgeous and was a wonderful place to visit. It has a gorgeous old section built on a hill as well as a more modern downtown. Granada is a really fun place for happy hour. They still offer traditional tapas, so don’t order too much food. If everyone in your group orders a drink, you’ll get a free tapa! The Mezquita is amazing! You must buy your tickets a few months in advance and I highly recommend a guided tour. You could spend hours wandering around the Mezquita, so a tour guide will keep you on track and offer a ton of history and insight. I also recommend a traditional Flamenco show in a “cave” in the Sacromonte district. It is a little touristy, but a really cool experience. Ready to being planning your next amazing adventure, contact me here!